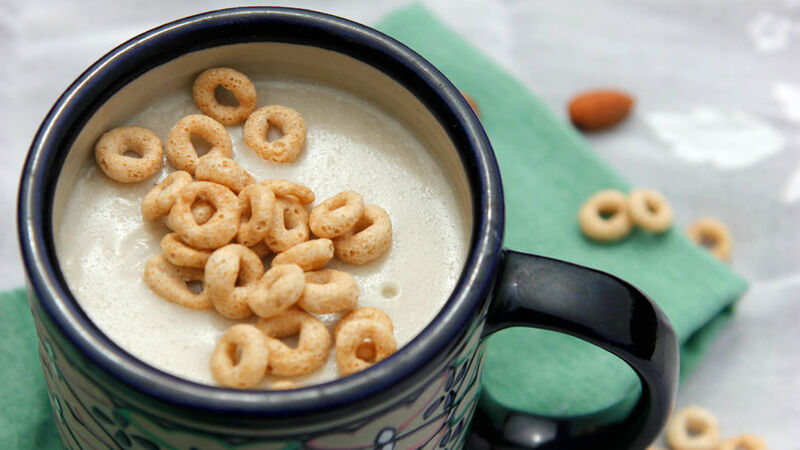 Warm up 4 cups of vanilla-flavored almond milk mixed with sugar and vanilla extract. 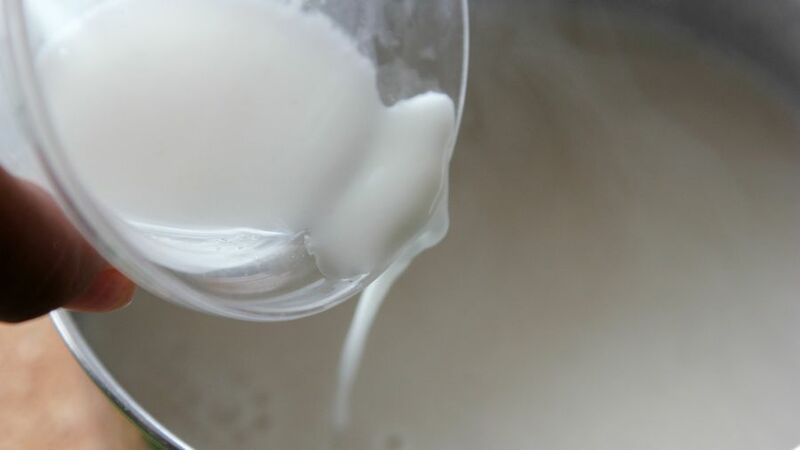 Dissolve the cornstarch in half a cup of cold almond milk until there are no lumps. Once the milk starts boiling, add the cornstarch. Turn the heat down and cook for 5 more minutes, stirring every once in a while. Serve immediately, decorating with Cheerios™, with a tamale or pan dulce. If you’re using plain almond milk, add another half teaspoon of vanilla extract. If you don’t have cornstarch, use 6 tablespoons of corn flour.